Should the artist’s intentions be ever relevant to his or her work? 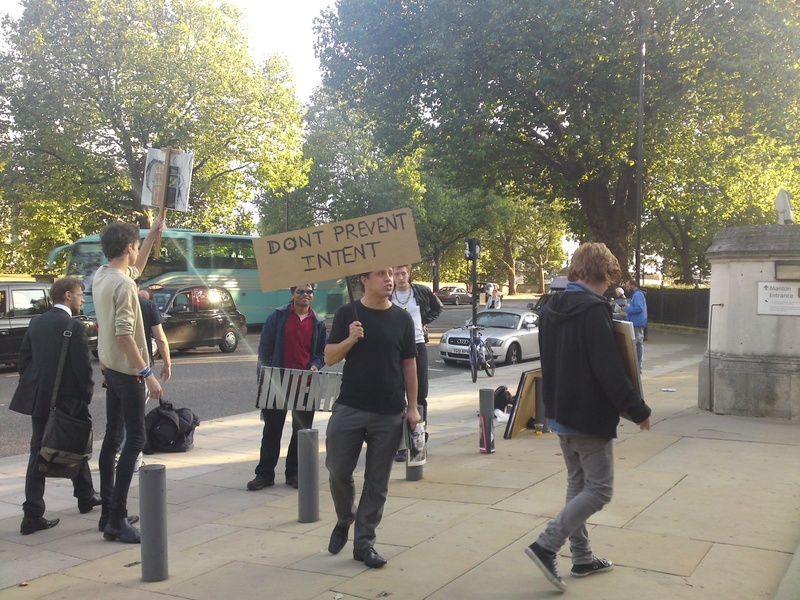 Members of the international art movement peacefully demonstrate outside Tate Britain and Tate Modern. 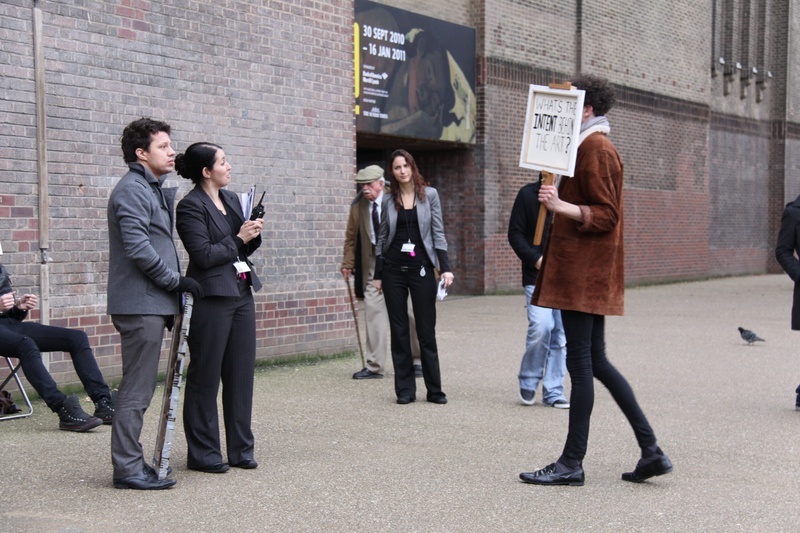 The last picture shows them being forcibly removed from Tate Modern. Click on www.intentism.com for more photos and information. 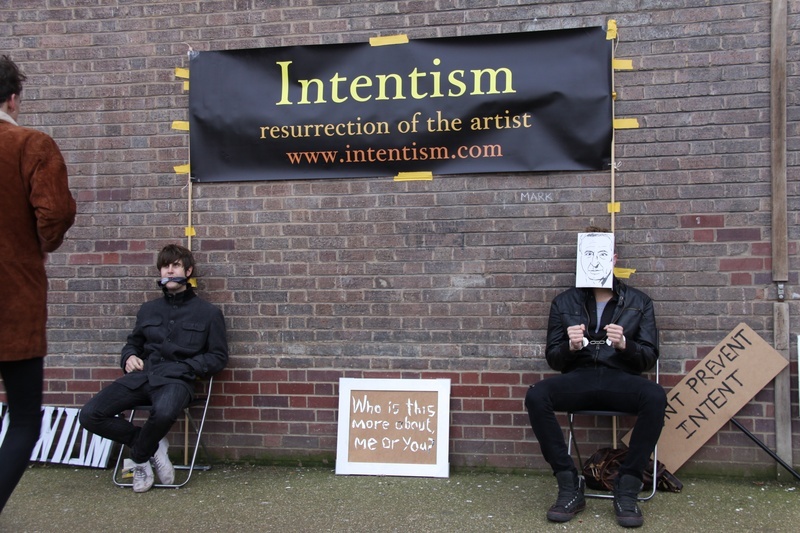 Previous Intentism interview with Professor Colin Lyas: Is the Artist’s intention important in art? Next What do the Intentists believe?